Infused medications can help break a migraine that is not receptive to oral, injected or nasal therapies, or has gone into status migrainosus (lasting longer than 72 hours). Infused medications can be used when migraine headache is accompanied by nausea or vomiting, as it often is. To halt migraine headaches via infusion, Kane Hall Barry Neurology uses a variety of medications which constrict blood vessels and decrease inflammation thus reducing the activity of the immune system. Medications to treat nausea and vomiting and non-narcotic pain treatments are also utilized. 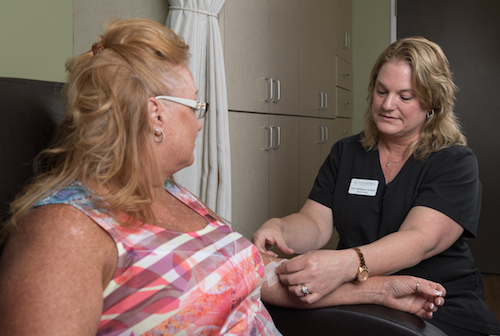 The exact combination is determined by the doctor and administered in our comfortable infusion suite. Many times, patients can receive a same-day infusion to stop their migraine in its tracks. Kane Hall Barry may also treat with trigger point injections of a local anesthetic.